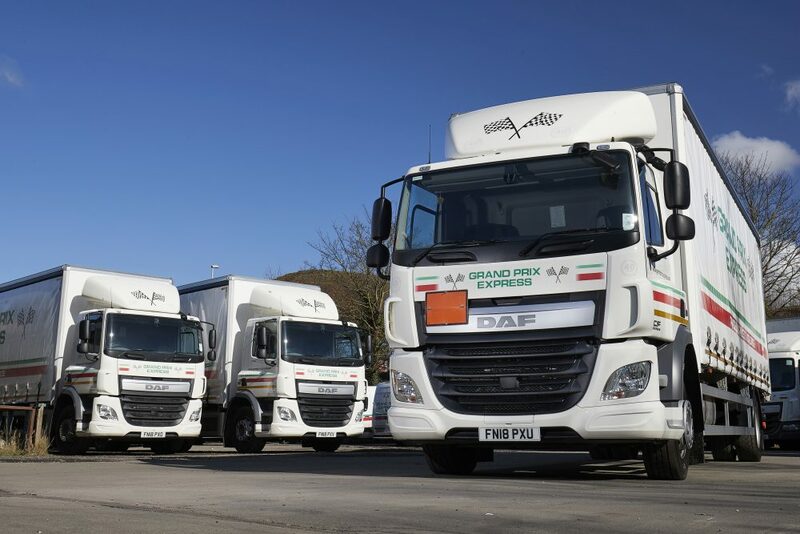 Delivery firm Grand Prix Express has signed a new five-year, full-service contract hire agreement with Fraikin for three DAF rigid trucks, thanks in part to the excellent service the company had previously received from Fraikin’s rental division. The deal marks the first contract hire agreement between the two companies and places the 18-tonne DAF CFs in a 30-strong fleet, replacing trucks previously on contract hire from a competitor. Fraikin delivered the new assets with the latest generation forward-facing and reversing cameras to support the customer’s duty of care to its drivers, as well as improving road safety, load security and aiding vehicle manoeuvrability. Russell Godwin, Managing Director of Grand Prix Express, says: “Fraikin supplied us with a short-term rental solution last year and the support we received was second to none. When we wanted to refresh our fleet with newer vehicles, the rapport we’d already built with Fraikin meant we knew they could deliver exactly what we needed – and they didn’t disappoint. All maintenance and servicing will be conducted on a collection and delivery basis, with Fraikin supplying a substitute vehicle to Grand Prix Express while any work is being carried out. FraikinView enables the customer to closely monitor the maintenance schedule, providing complete transparency of any work in progress. Each DAF is mounted with a JC Payne curtainside body with tail lift, plus features forward-facing and reversing cameras to support the firm’s duty of care to drivers, as well as improving road safety, load security and aiding vehicle manoeuvrability. In addition, a special livery was applied to the vehicles to mark Grand Prix Express’ 40th anniversary this year – a milestone it coincidentally shares with Fraikin in the UK. Based at the customer’s main site in Mochdre, near Colwyn Bay, the new vehicles will be in operation five days a week, delivering pallets and parcels across the UK and clocking up around 50,000 miles a year. Grand Prix Express is still family-run, but it now also operates an international delivery and collection service for some of the UK’s largest parcel and pallet companies, including Fortec Distribution Network, DHL and DX Freight, while still serving individuals and private businesses both large and small.